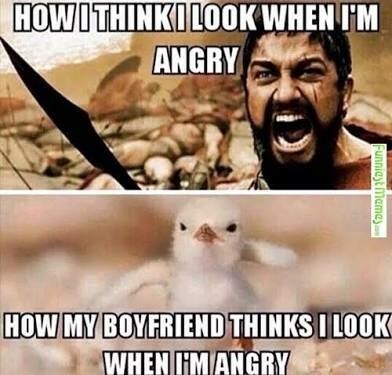 30 Relationship Memes So Relatable You Can't Resist Yourself From Sharing | Wotpost. 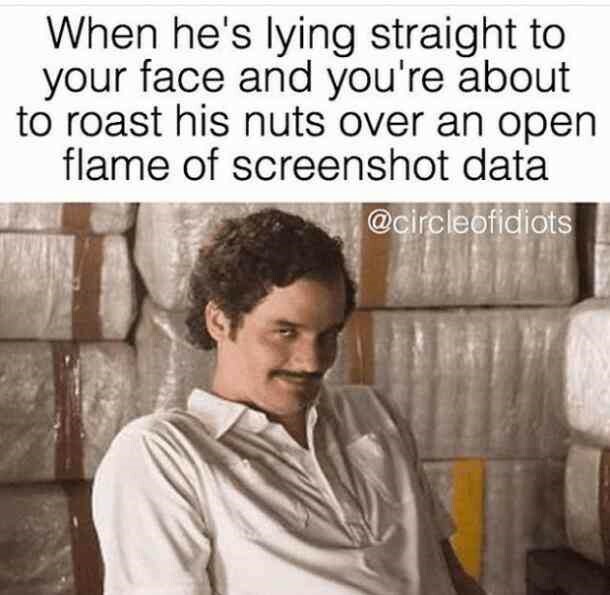 Memes are all over the internet nowadays due to their waggish presentation of day to day issues or situations. Once you get into seeing or scrolling over memes, time passes by like Ice-cream melts in a hot summer day. 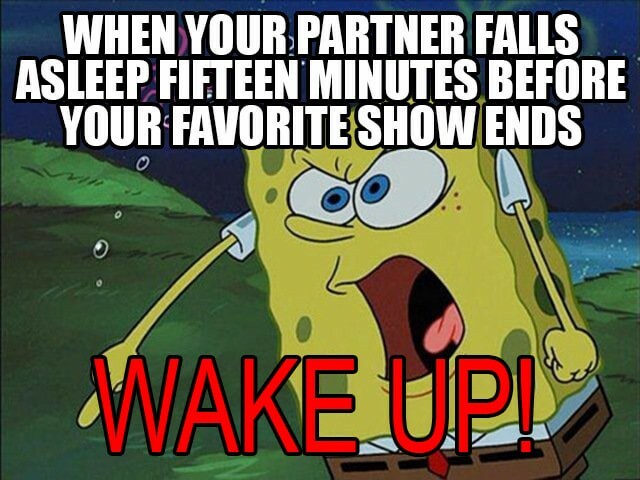 Partners in love keep tagging each other whenever they find any relatable relationship memes. They are so enticing and so attention seeking that one cannot control his/hers mind. 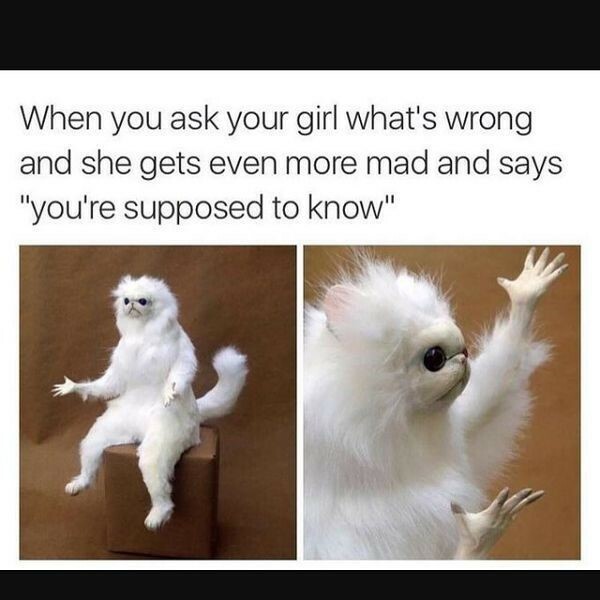 So here we are going to present to you, top relationship memes out there on the internet. 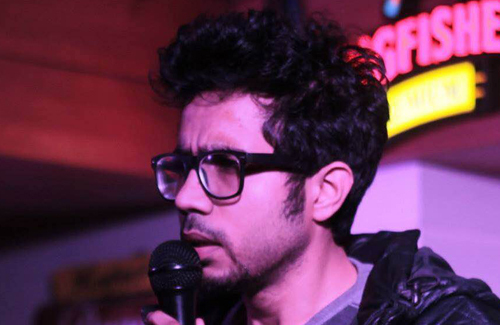 Take a look at these Indian memes as well to explore your hidden side. Well, what can I say? All the girls who are angry right now after seeing this meme, look this is how you look right now. Trust me. 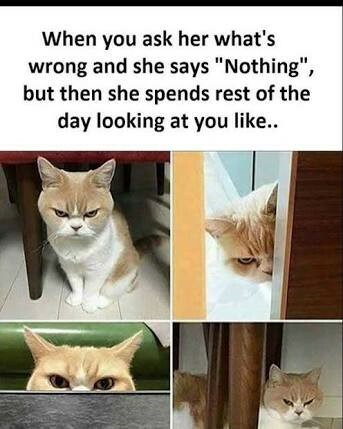 The worst thing a guy can do when out with bae is look at other girls. 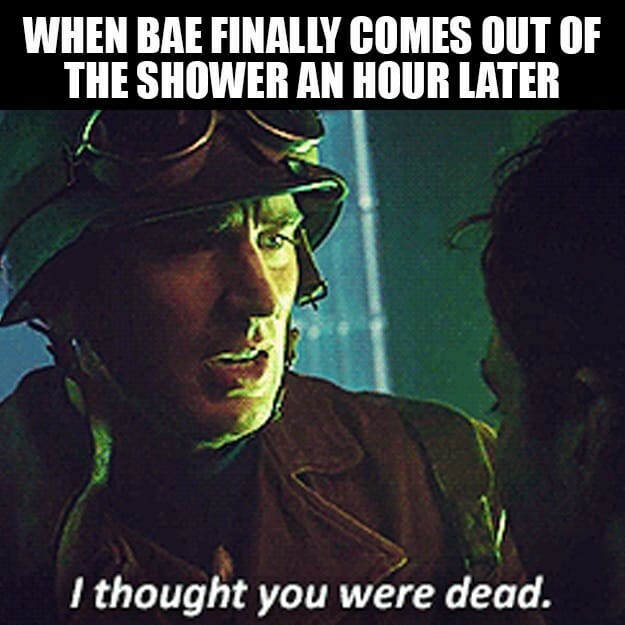 This has happened to every guy out there. Guys, God Bless us all because the funny things is, we can’t do anything about it. #04 Google is Always Right. 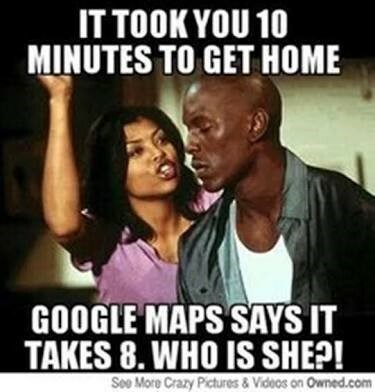 Damn that google! He sold us out. 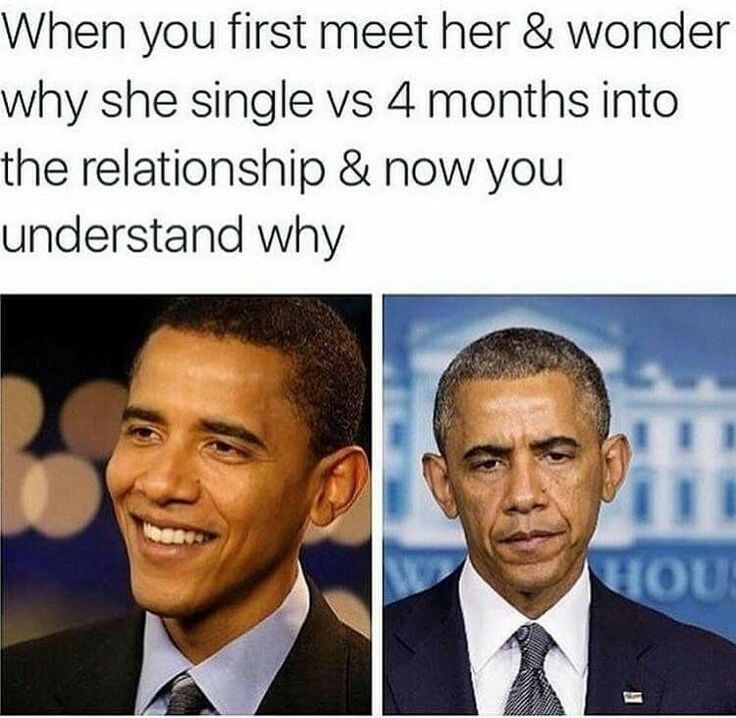 You used to wonder why she was single? Now you know why. Here confident stare when she knows all the sh*t you have been lying about. 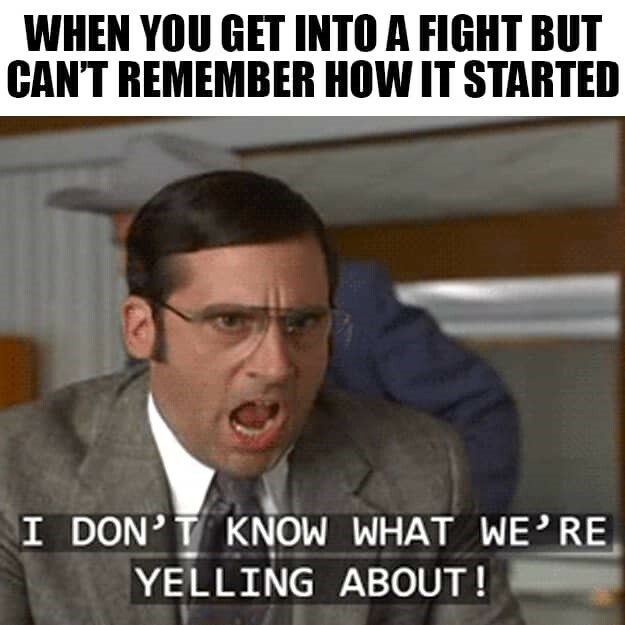 How are we supposed to know? We aren’t Mind readers. Even if we were, then why would we waste our time on you. 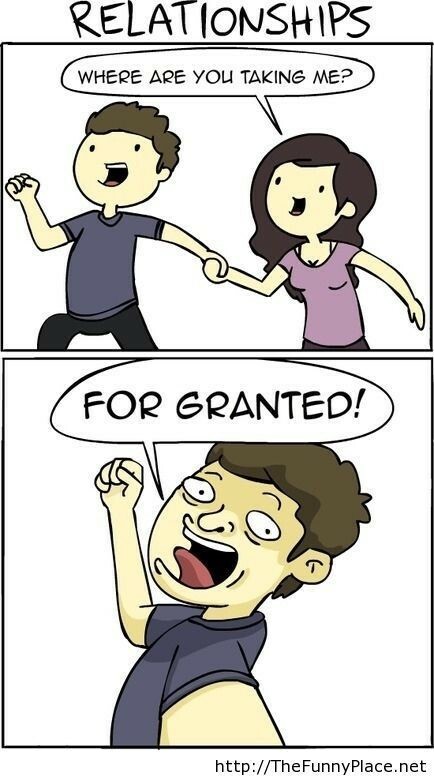 You guys (not me) take your girlfriends for granted. And those who don’t, still are accused of this anyway. 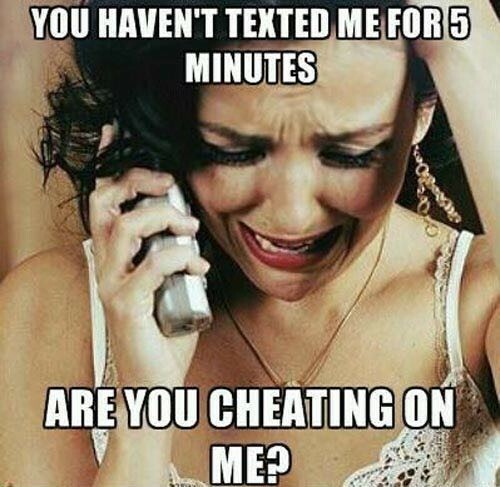 This happens to newbies as most of the other guys know about their girlfriend’s stalking skills. 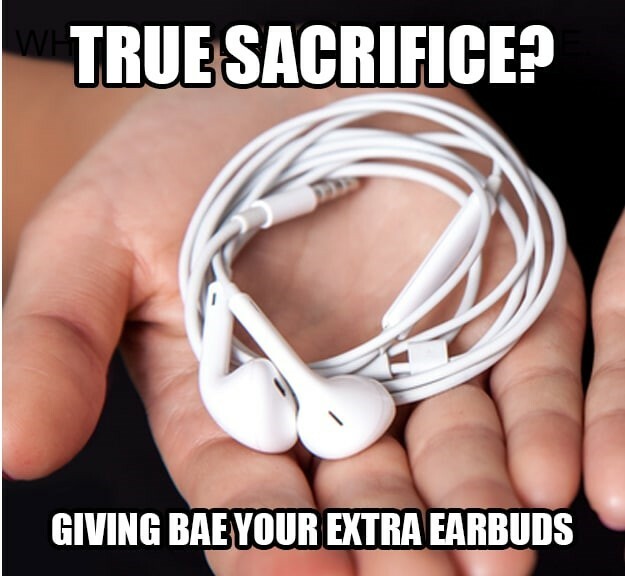 Giving his/her earplugs to their partner has become a sacrifice here as no one wants to lose their precious belongings and today technology has become precious indeed due to alarming prices. Here we can say that the list of women’s want is never ending as they look for one and they end up getting many. Hence, it truly relates with the never ending want of human behaviour be it a male or a female. 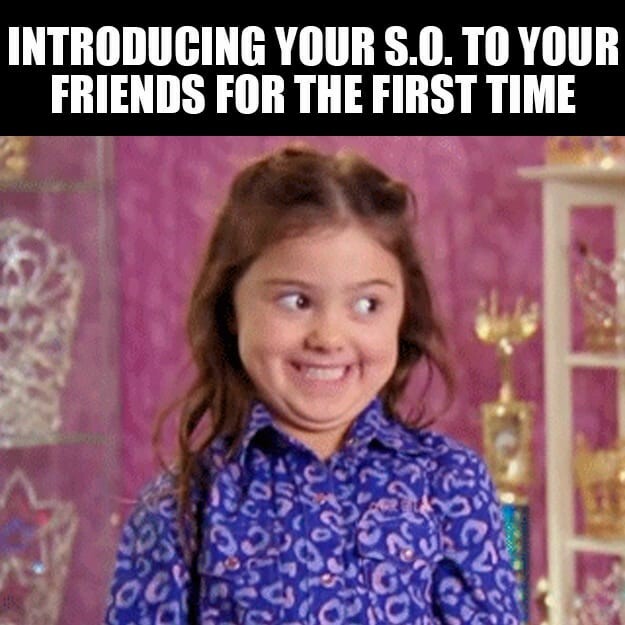 And these aren’t just the only memes that are effing relatable. 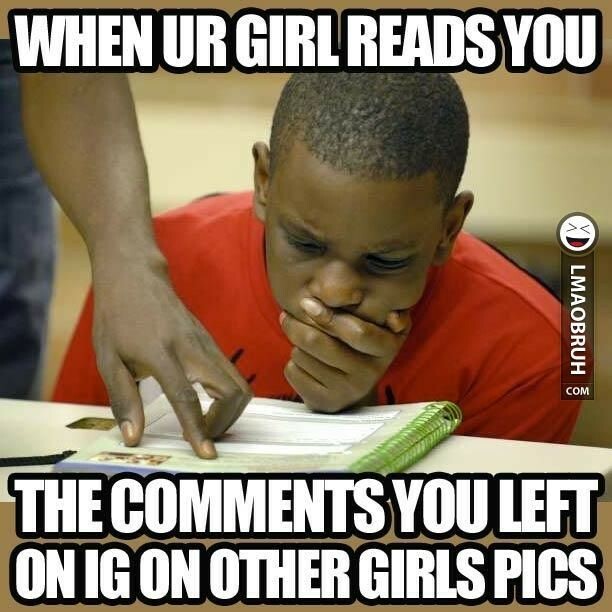 You could explore more on these best meme pages on Instagram. And if you still aren’t satisfied, then these meme pages on Facebook will just do the job for your daily dose. And we can say that, “we need our partner in every moment of our life”. So, this meme is showing the ownership that the partners show to each other when in a relationship. 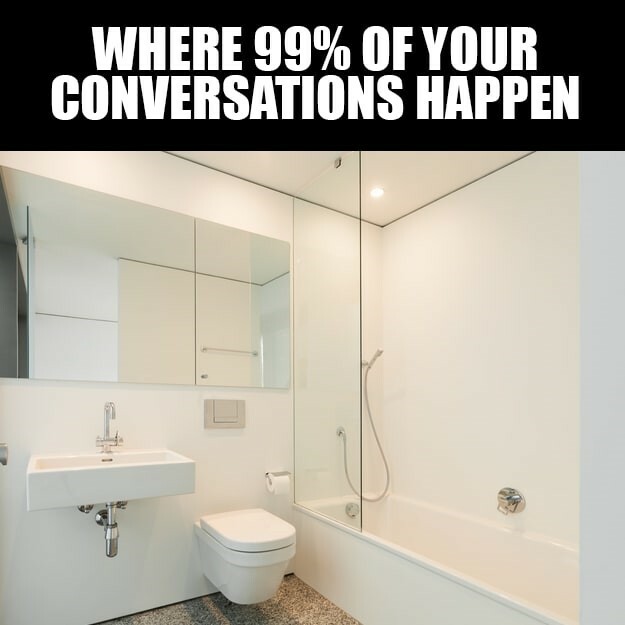 It is said that washrooms are the best place for couples to talk and discuss as it is the most confidential/secluded place where they can open up to each other easily as they away from their family and friends. The curious look can precisely explain about the feeling of a girl/boy when they introduce their partner with friends as they know the real person behind him/her. “Time changes!!!! !, so people’s choice and wishes do”. 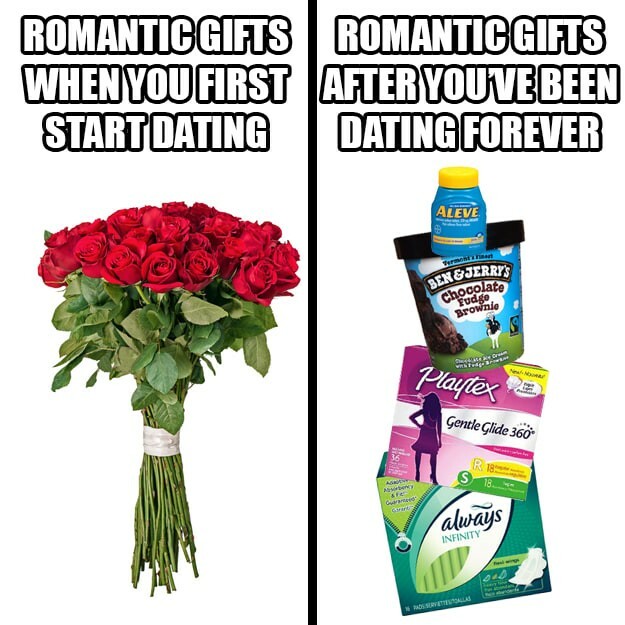 There is a huge difference in the choice of gifts that people choice for their partner in the initial stages of their relationship where they start with flowers, chocolates, etc and after spending a year or two in the same relationship the gifting gestures becomes a part of their partner’s “ NEED”. 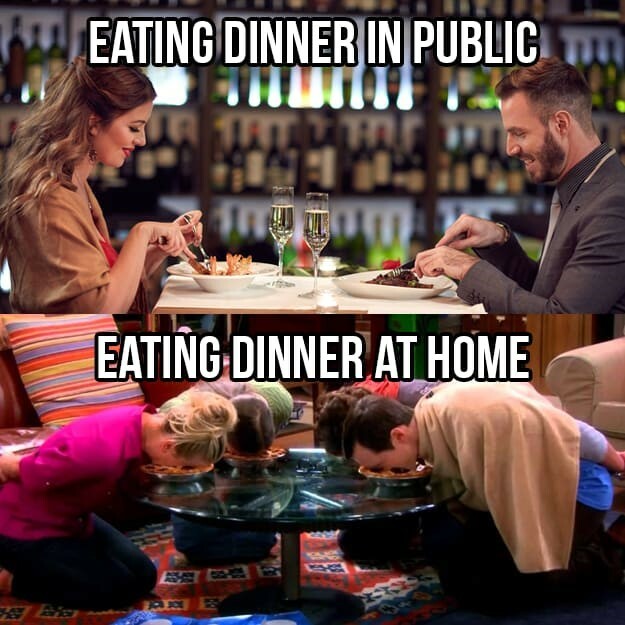 This is a perfect “inside out demon” picture, where a couple is bound to behave suitably in public places for eating while having food at home becomes a little unpredictable where they don’t eat the food but make it a fun activity for them. And, the ladies make it happen all the time…!!!!. The more than extra time taken by the ladies in washroom and shower has helped a lot of people to build up their patience level as most of the ladies around the world take the whole time to bring the diva out of them. 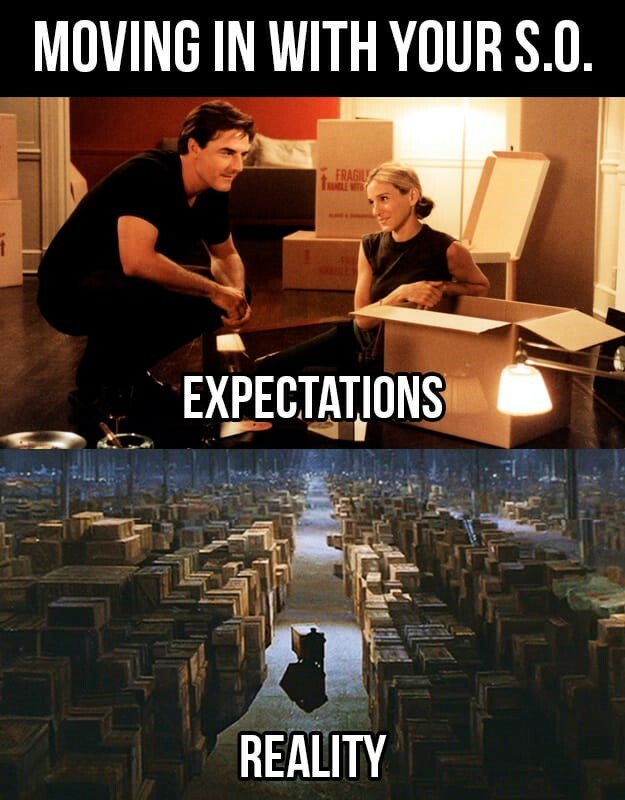 The meme tells about the most familiar situation of the entire relationship world. The Couples know how to fight and how they can insult one another but sometimes the fight is extended so much that they tend to forget the actual reason of fight. Funny but true. Sometimes, it’s very hard to deal with shopaholic person as they don’t have any boundaries where they can stop their shopping. 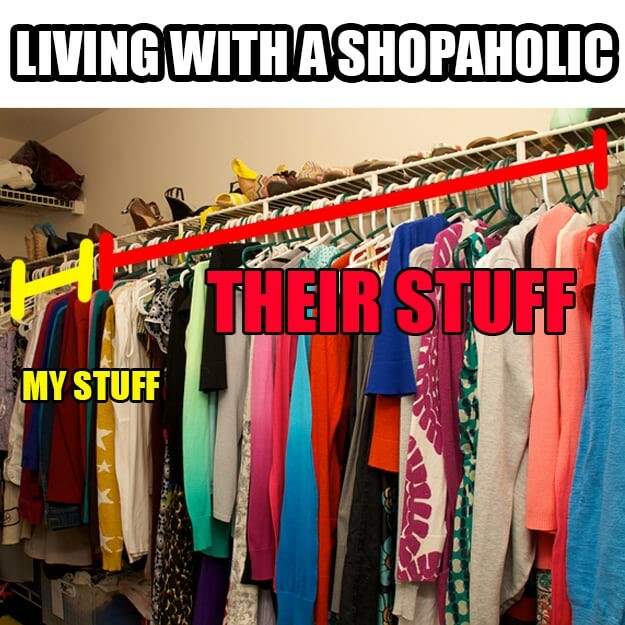 It seems unstoppable most of the time and here males are mostly stuck with a shopaholic lady where the wardrobe acquires the space of her things majorly. 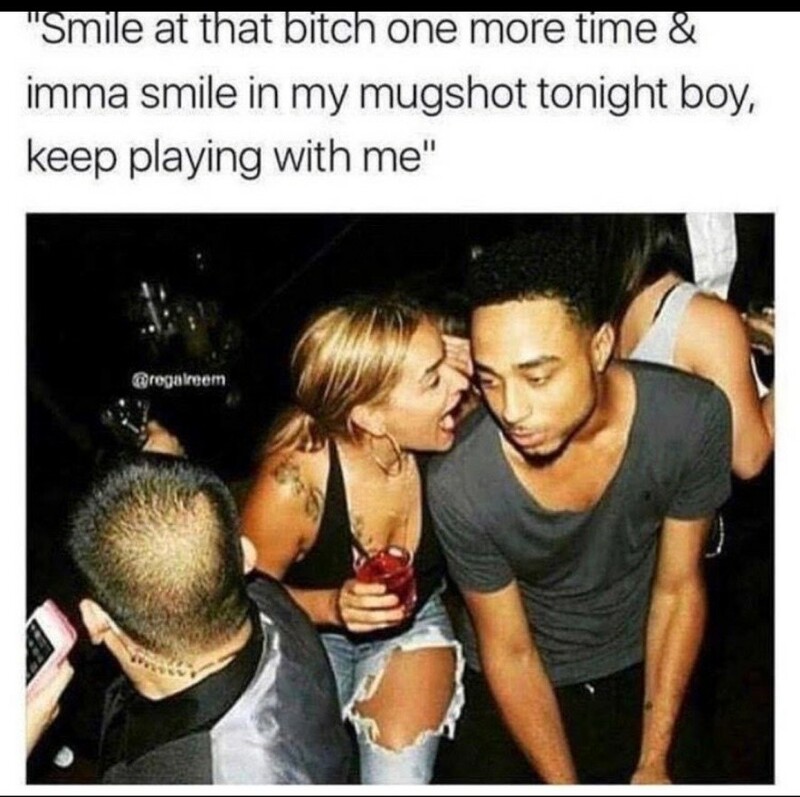 Here, the meme exaggerates about the real feeling been hidden behind this weird smile of the guy. He dint like the gift given by her bae but he has to forcefully accept and appreciate her efforts so that their relationship is not only stake. 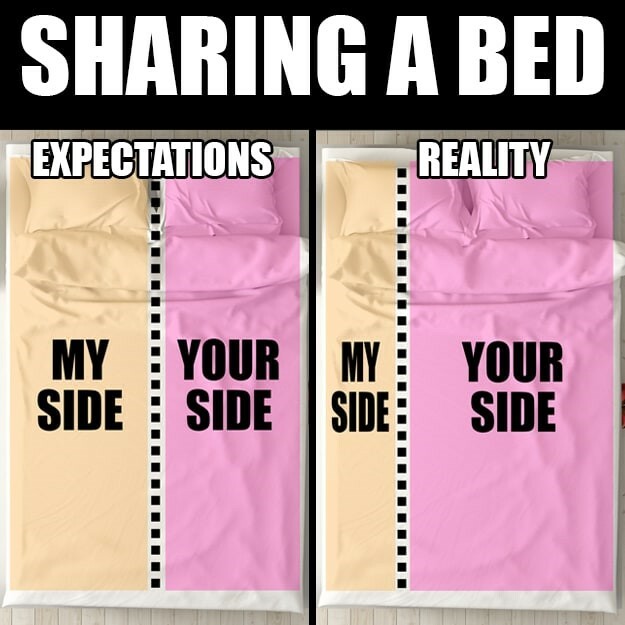 It’s the most famous meme being circulated these days where the sharing of bed side is equal initially and it gradually tapers for the guys as they start sleeping with their ladies. 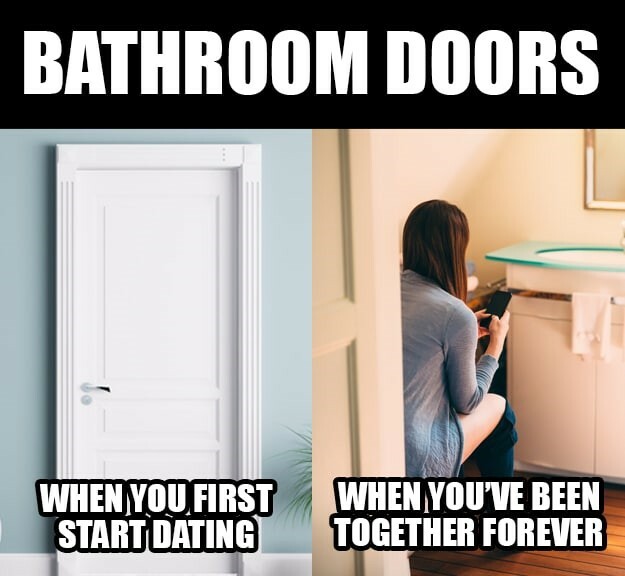 In a new relationship both the partners show sophisticated nature but when they are together for a long time they don’t even care to close the bathroom door. It shows how comfortable they are with each other. The face of this woman shows how crazy one can be for cute animals. 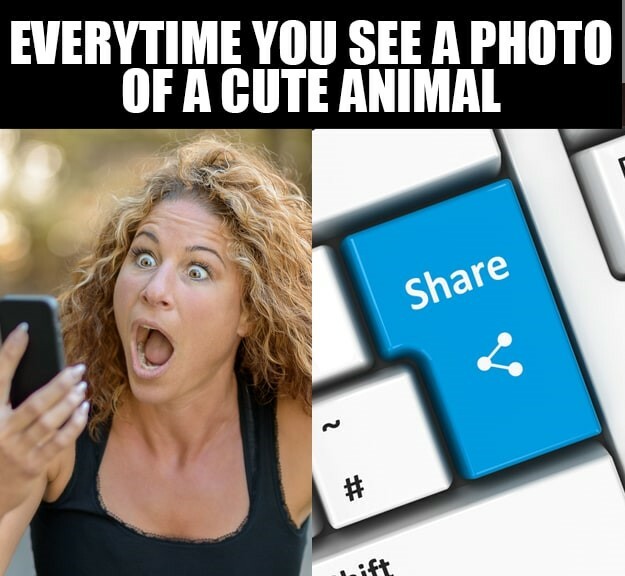 It shows the expression of every animal lover whenever they see the pics of cute animals on social media and cannot resist themselves from sharing it. The man in this picture is said to be a masseuse. The word masseuse is associated with a female masseur. It is to make fun of every man who is slave of his wife by associating him to the female characteristics. This is how sharing your things goes wrong. 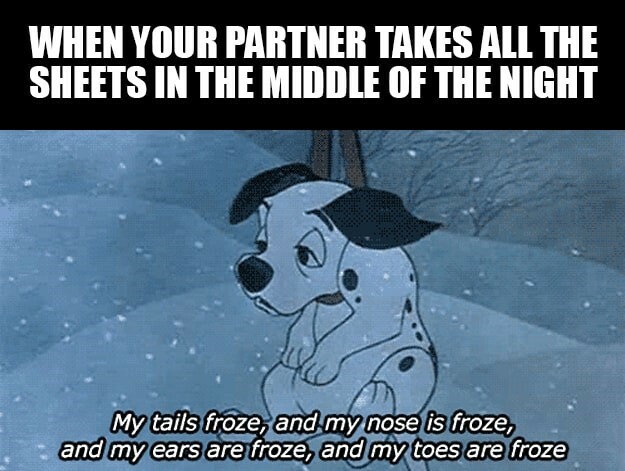 In the middle of the night when your partner takes all the sheets and you feel like an abandoned dog roaming around the streets in a snow storm. #27 Its so damn difficult. 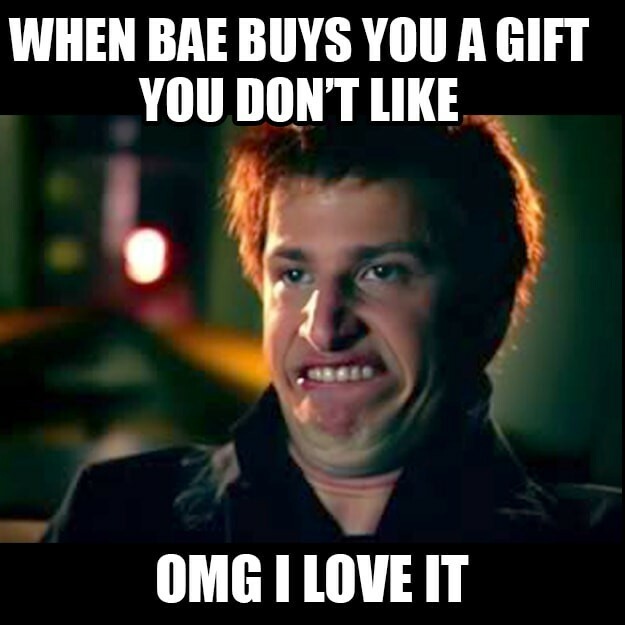 Finding a gift for a person you love the most is a difficult task. 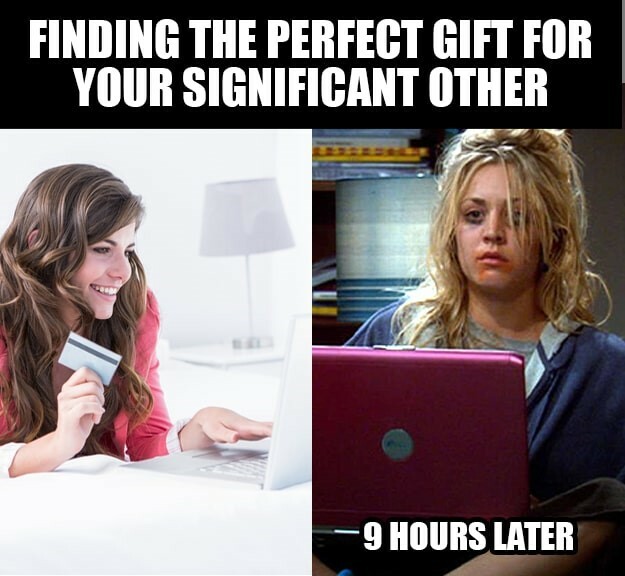 This meme shows how a girl tries hard to find out the perfect gift but she ends up looking horrible after a lot of research as she couldn’t find the gift. When you are too modern that you don’t even want to move. 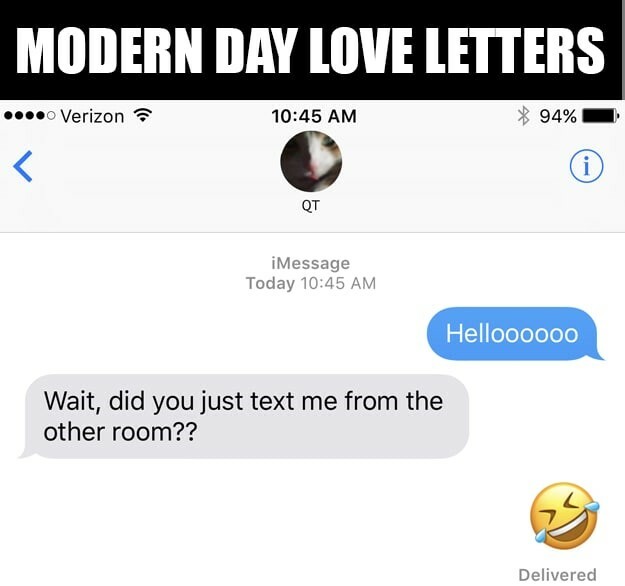 The love is in the air-phrase doesn’t go with the modern technological lazy romance!!!!! #29 I still love you. 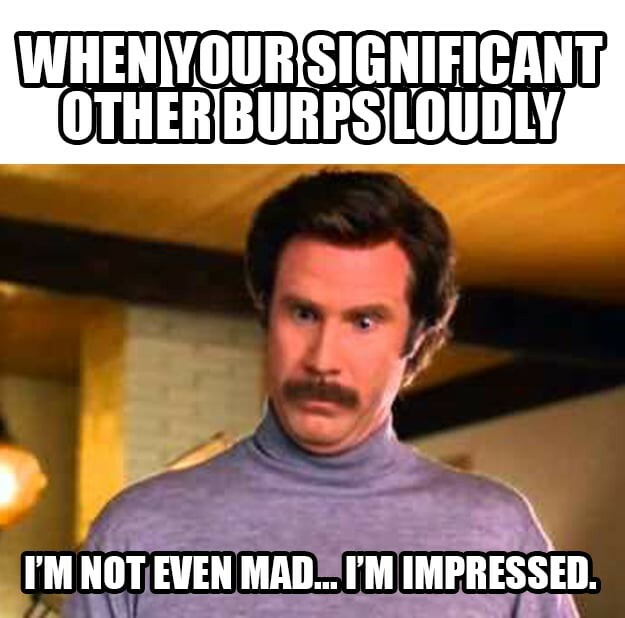 When your partner does anything you don’t like but you have to act like “it’s alright and I love you more than anything” even if you burp loudly! 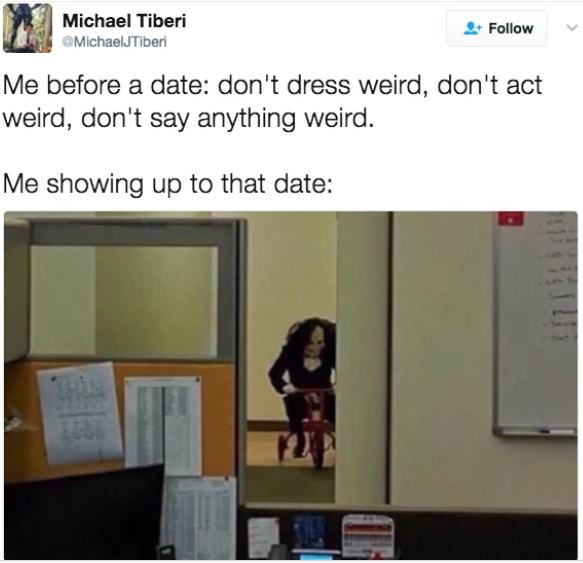 The phase a person goes through before a date is the craziest phase. One does stupid things out of excitement even one doesn’t intend to do it. This meme express this phase well!